Chromecast Ultra brings Ultra–HD, 4K streaming to your TV*, in a simple, compact package that’s easy to install and easy to use. The small Chromecast unit plugs right into your TV’s HDMI port and connect’s wirelessly to your home’s Wi-Fi network. Use your iPhone, iPad, Android–powered phones or tablets, or your laptop, to play shows, movies, music, and games. Your phone acts as your remote control so you can navigate, search content, pause, or skip ahead. Play YouTube videos, catch up on a Netflix binge, or listen to your favorite Spotify playlist. There’s over 1000 Cast–enabled apps to choose from. You can even share your screen from your Android phone to share your pictures, home movies, or browse the web. Chromecast Ultra is the most powerful Chromecast yet. It’s capable of streaming and playback at 4K resolution, for crisp, clear, ultra–detailed video. * Don’t have a 4K television? The Chromecast adapts to support your TV’s maximum resolution, so you get the best video quality possible. A more powerful processor also improves standard HD content, playing video more reliably, with fewer skips and dropped frames. Easy set-up. Chromecast is simple. Just plug it directly into your TV’s HDMI port. It connects to your Wi–Fi network to link to your devices, so you can stream movies, TV shows, music, and even games. There are over 1000 Cast–enabled apps to choose from. Ultra-HD streaming. Stream video content in 4K Ultra–HD resolution. * Chromecast Ultra adapts to your screen to deliver the maximum resolution possible. And it’s the most advanced Chromecast model yet, with a powerful processor for smooth playback and fewer dropped frames. Your phone is your remote. Just open a Cast–enabled app, tap the cast button, and start watching high-quality content on your TV. You control it all from your phone – pause, search, and navigate so there s no new interface to learn, and no extra remote control to keep track of. SKU: ga3a00403a14 Category: Smart Home Media. 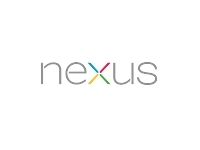 Brand: Google, Sold by : Verizon Wireless Tags: and more in 4K resolution Use your smartphone or tablet as your remote Supports over 1000 Cast-enabled apps, and Spotify Free shipping available on all orders, including Netflix, movies, Stream videos, YouTube.